Smartphones have changed the way we look at communication devices. With their high-end processors and 3G technology, they’ve really improved our lives. Their calendars, to-do lists, reminders, and note-taking apps all help us with our productivity needs. However, before we start exploring these apps we need to know which ones will truly be beneficial for us to download on our phones. When it comes to work-life balance we have a lot of projects we need to keep track of. Breaking these projects down into various tasks makes them more manageable but sometimes this makes things more difficult for us to keep track of. • Ace Project: This app breaks everything down on your dashboard so you can monitor your progress. Since you have a visual representation of everything that’s happening you’ll find yourself getting more done in less time. • Basecamp: This app allows you to collaborate on projects with other people while on the go. Instead of using several different apps for this, everything is right here in one place for you. • Sandglaz: This app allows you to take your projects with you. Since you can see everything you’re working on, regardless of where you’re working from, you can spend less time worrying and more time working. • Smartsheet: This app is great regardless of what industry you’re involved in. It’s also great because it’s so easy to use – you can even use it across multiple platforms. As such, you always remain in control of your projects, even while switching between devices. • Teamwork: This is a powerful tool that supports a lot of integrations – Hubspot, Box, Taco, Quickbooks, Zapier, Google, and Microsoft. It’s really important that you keep your work projects organized. By creating priorities, you will be able to meet up with crucial deadlines in the future. This is great because it allows you to stay stress-free while tending to your family or yourself. • TickTick: An extremely easy way to create a to-do list. This seamlessly integrates with Gmail and synchronizes with Android, iOS and web platforms. While using Chrome you can even easily convert an email into a to-do list simply by using an extension. While online you can also create a back-up for your lists. With this app, you can set various levels of priorities and customize notifications and reminders for them – even receiving special reminders when you leave or arrive at a specific place. This is a great app for anyone who needs to be more efficient. • Wunderlist: This is a great way of collaborating on a to-do list with your friends and colleagues. Since this app is available across multiple platforms, it’s ideal for use at home, as well as at work. The real-time sync feature allows you to quickly see what everyone is doing. This is what makes it particularly convenient to use. Now that you have your projects under control, you’ll want to also stay on top of the tasks that you broke your project down into. Fortunately, there are some very helpful apps here as well. • 30/30: This app breaks tasks down into ones you can easily see from its clean interface and then accomplish in just 30 minutes. Specifically made for iOS, you can easily access everything from the cloud using your iPhone or iPad. • Asana: A powerful tool that’s easy to use. It streamlines communication and tasks so that things don’t slip through the cracks as much. • DropTask: This app is great for anyone who’s visually oriented because the interface uses eye-catching visualizations. This makes it easier to simply glance at a task and manage how it gets done. • Todo 7: This app provides an easy way through which you can keep track of what you need to do each day in your personal life. At the same time, it also has some great productivity tools for your business life. Since it’s very mobile, anyone who’s on the go will enjoy using this app. • Todoist: This is a tool that Fortune 100 companies use but individuals will also appreciate it as well. Not only is it easy to use but it’s also quite powerful nonetheless. You’ll have support for tasks and sub-tasks, as well as projects and sub-projects. All of these things synchronize in real time so that everyone who’s collaborating on them knows what’s going on at all times. While you’re on the go you may need to host a conference. Just because you’re not in your office doesn’t mean the business doesn’t go on. It also doesn’t mean that you can’t stay on top of everything. There are a few free apps that will help you with conferencing while on the go. • Jive: This app combines VoIP calling with robust conferencing features. While many of these features are more robust than Skype, they’re also easier to use than GoToMeeting. • Slack: Slack is the industry standard that’s used by many businesses today. This team messaging app supports both group and private chats, as well as video conferencing. You can also manage many different channels all through this app, including Google Hangouts, Twitter, Soundcloud, and DropBox. • UberConference: This app makes it easy to have everyone in the same place at the same time so that you can use web conferencing to work through any issues that you’re experiencing with a project. This app offers HD audio and screen sharing, all from an interface that’s easy to control. Your calendar and work projects are important, but they’re not the only thing you have in your life. You need to manage things like what’s going on with your family and yourself as well. Fortunately, there are a few other apps that can be quite useful here. • Evernote: This is your virtual workspace where you can make notes then organize them so that you can present your ideas in a systematic way. Since it’s available across different platforms, it’s very easy to create and manage your notes from wherever you are, regardless of what device you’re on. You can also upload pictures, audio files, and videos. All these features are built into a screen-friendly layout, making presentations a breeze. • Fantastical 2: Specially designed for iOS so that reminder integration is seamless among these devices. Its flexible features help make you more productive. The app will help you manage your events. Your events will be presented to you in categories which include daily, weekly and monthly – all of which include reminders so it’s easy to manage your events. You can even use it to send birthday or well wishes from your Facebook and Twitter accounts. • Dropbox Paper: Dropbox Paper allows you to work in real-time with teams even if you’re not there. You can work from home or anywhere else, taking control of your time. With this tool, you have everything you need right at your fingertips, nobody will even realize that you’re not in your office when you’re talking to them. Your boss will really appreciate this, especially if he doesn’t want everyone telecommuting and is trying to keep this a secret. • Google Keep: This is one of the simplest apps on the list. Whether you’re using an Android or an iOS device, this note-taking app allows you to simply create a collection of sticky notes. This is both quick and easy to do so you’ll remember whatever is on your mind now later. When you look back on these sticky notes you can attach photos and turn them into lists. You can also record a voice memo. Keep will then transcribe it for you to include in your notes. However, one of this app’s most interesting feature is its ability to color code your notes. This will actually help you organize them more effectively. Since you can sync these notes across devices, you can access them from anywhere at any time. It really is a simple, yet highly effective, way of taking notes and staying organized. Organizing and prioritizing your work is really important when you’re striving for work-life balance. You can’t afford to miss crucial deadlines, but you also want to enjoy your life and not feel stressed all the time. With these productivity apps, you can stay organized and be more productive at the same time. 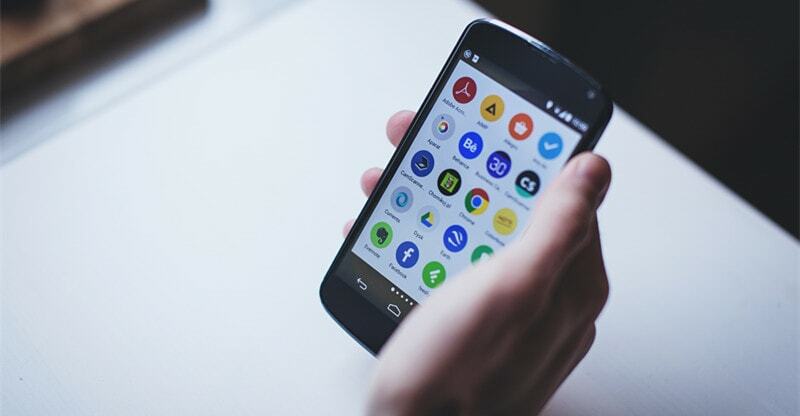 Once you start checking out some of these apps you’ll be pleasantly surprised by just how much they really will enhance your life. This is a guest post by Peter Davidson: Being a senior business associate, I strive to help different brands and startups to make efficient business decisions and plan effective business strategies. With years of rich domain expertise, I love to share my views on the latest technologies and applications through well-researched content pieces. If you’re looking for an alternative you should look at https://zenkit.com.